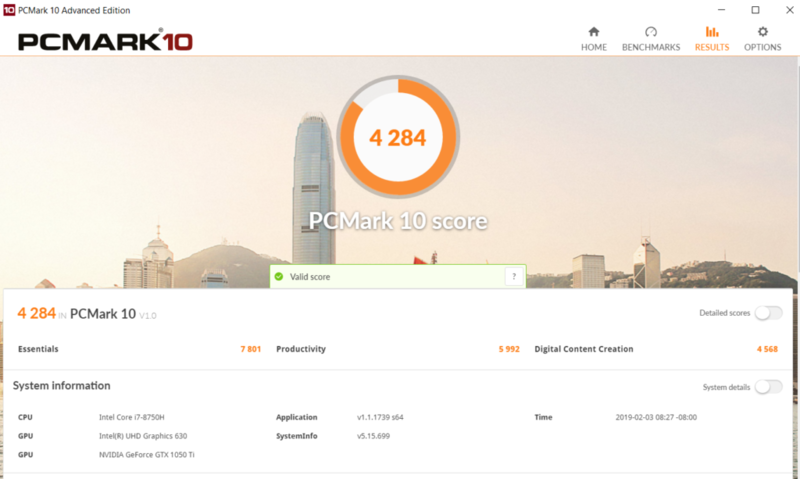 Lenovo is recognized as one of the top PC providers in the world, with over 68 million PC shipped as of Q3 2018 according to IDC, they proved that they are still the brand to beat. However, they are still missing one important element, a missing gem to complete their dominance which is gaming notebooks. 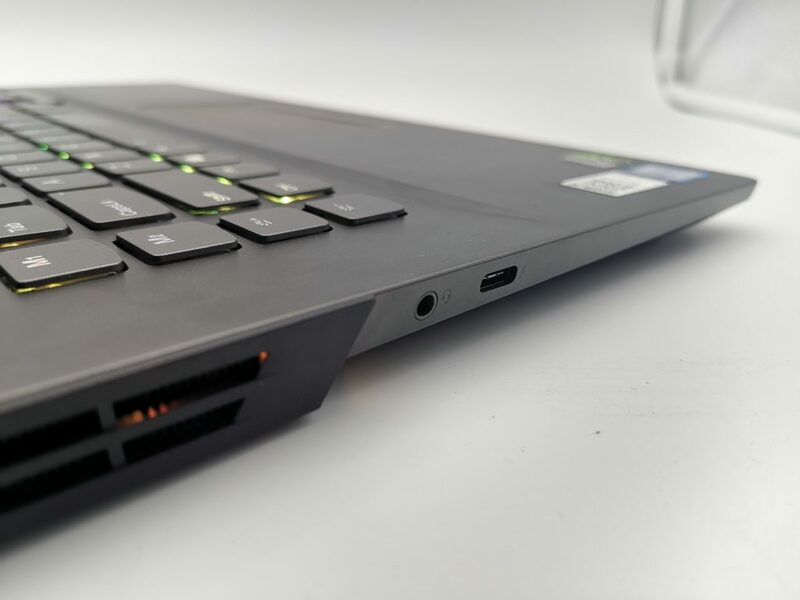 Legion Y730 stayed true to its Lenovo Ideapad form factor with smooth, thin and grayish design. 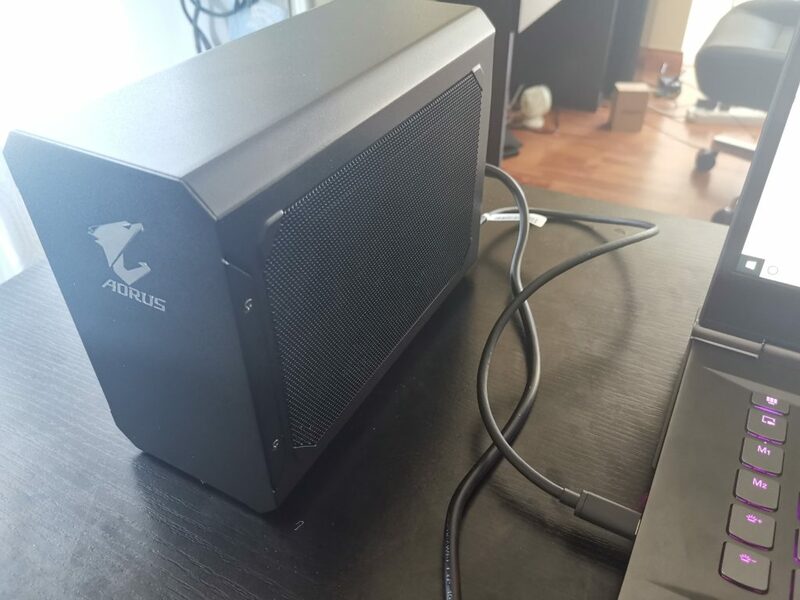 What made them unique compared to others is that the entire chassis is clean and flat which I actually liked because it stands out compared to others and the best part is, it is appropriate to bring during business meetings or any non-gaming works. 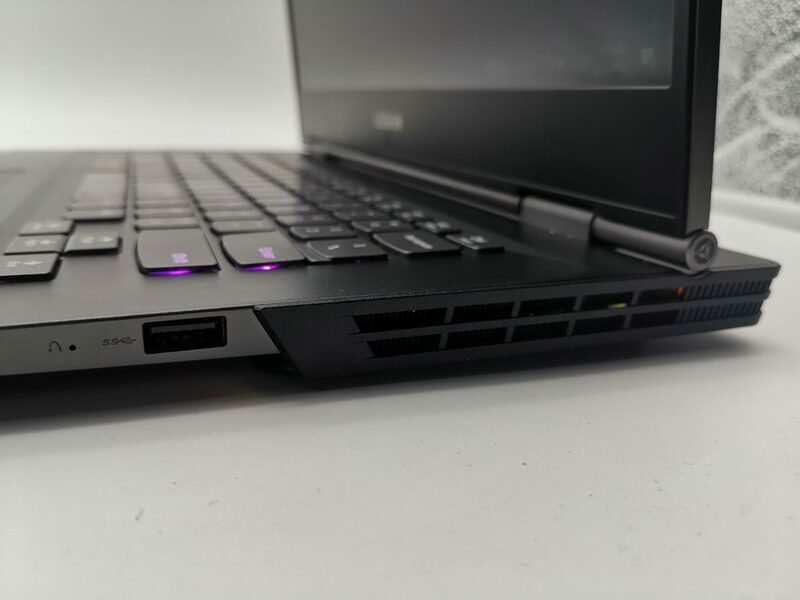 Just like the rest of their 15 inch gaming laptops, you can easily turn it up to 180 degrees seamlessly. I don’t recommend doing this all the time as it feels a bit loose when you rotate it on that angle. Ports in this device are a bit confusing with most of them are placed at the back and some of them were on the sides. You can find two (2) USB 3.0, one (1) display port, one (1) HDMI port, a charging port, kensington lock and LAN RJ45 port at the back while another USB 3.0, 3.5 audio jack and USB Type-C (with thunderbolt 3 technology) on the sides respectively. 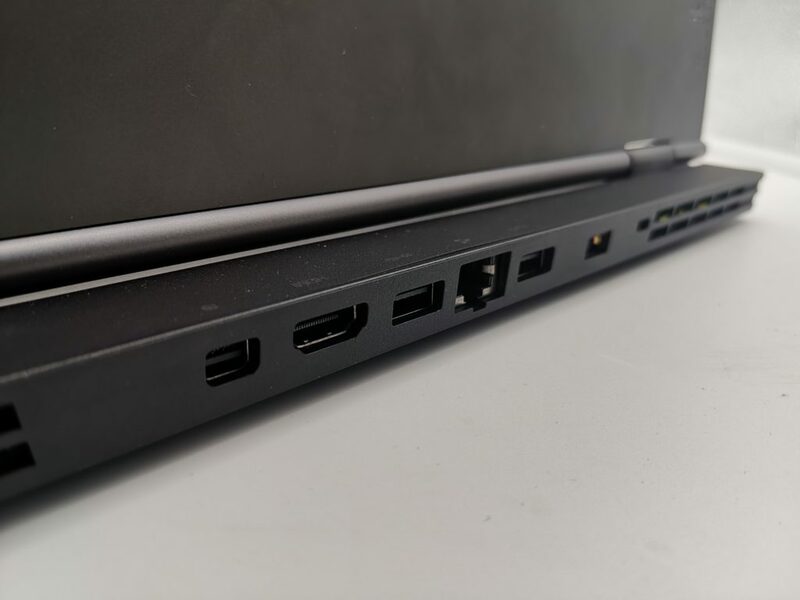 I’m not sure why Lenovo did this but I see no advantage on their port placements but at least you have all the connections needed for this device. 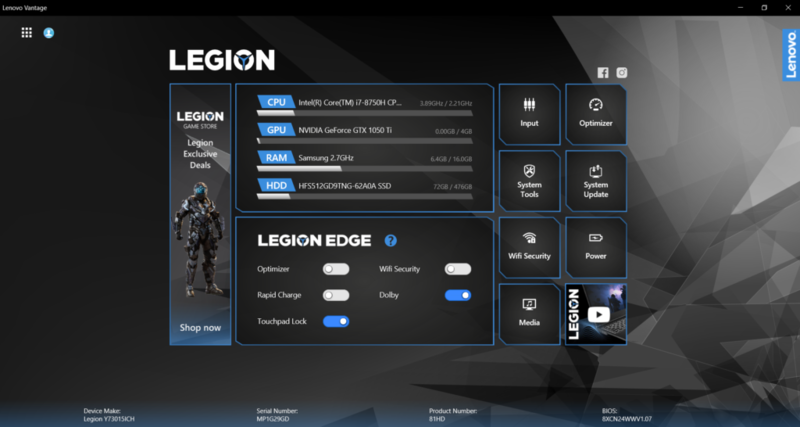 With most gaming brands pushing 120 to 144Hz on their new models, the Legion Y730 unfortunately sports a 60Hz monitor only. Games are noticeably different especially while playing FPS games. To compensate on its low screen response time, its near-borderless IPS panel is good enough for most multimedia works, images and videos were clear and crisp with no signs of any over saturation or any lack of color balance. 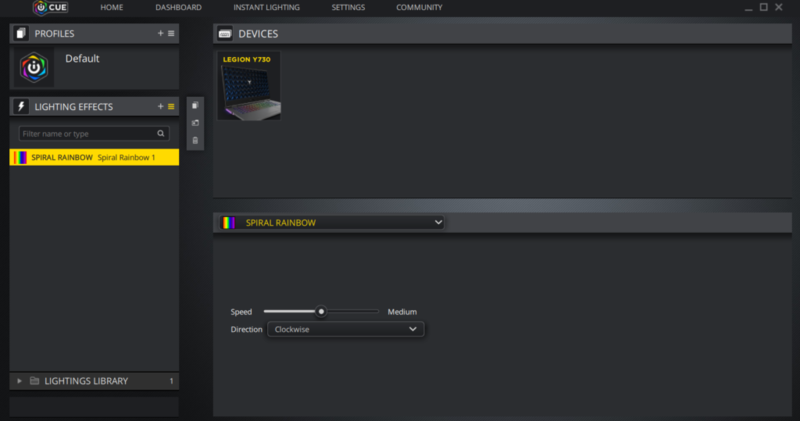 Lenovo Legion decided to partner up with corsair for their keyboards, the chiclet keys is RGB illuminated which I really like. This is by far, my favorite feature of Legion Y730. What made it different compared to others is that it is easy to customize and it also has the most number of lighting effects to choose from. The keys are soft and comfortable enough, the layout is just right for my both hands during typing. I’m not fan of the macro keys placements on the leftside as it gets in my way while working, at first I repeatedly mistaken the top left key for the esc button and while gaming, the WASD keys are seems a bit off and felt weird while playing. 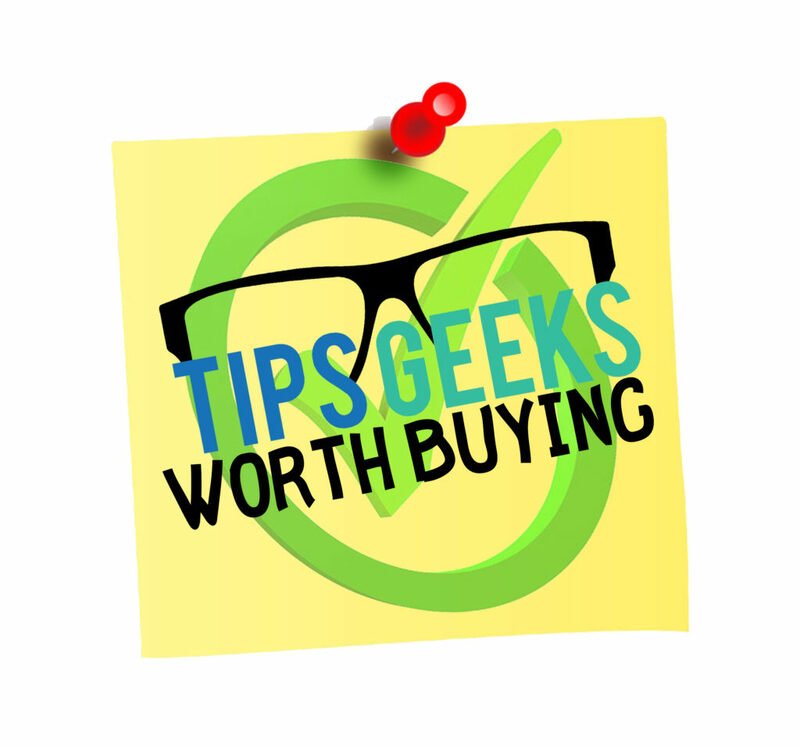 Another useful pre-installed app that I found is the Lenovo Vantage, it is a one-stop software for all the info and tweaks needed for your laptop. You can check, optimize and check for updates easily via this app. 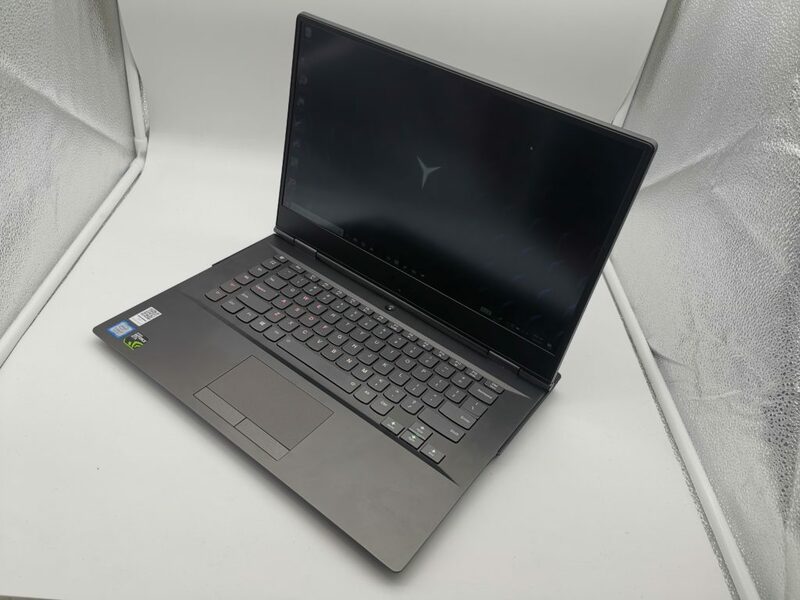 The Lenovo Legion Y730 is packed with the latest Intel Core 8th gen Hexacore processors paired with GTX 1050Ti. You can play games with it on decent settings but suffers on open-world games such as PUBG or Monster Hunter on high settings, I suggest to adjust the graphics a little to get 60FPS above. But for games like Dota 2, LOL, Overwatch or Rainbow Six Siege, this device can take a punch. For overwatch I got high FPS on high settings while getting temperatures 57 to 61 degrees celcius max which is pretty good. 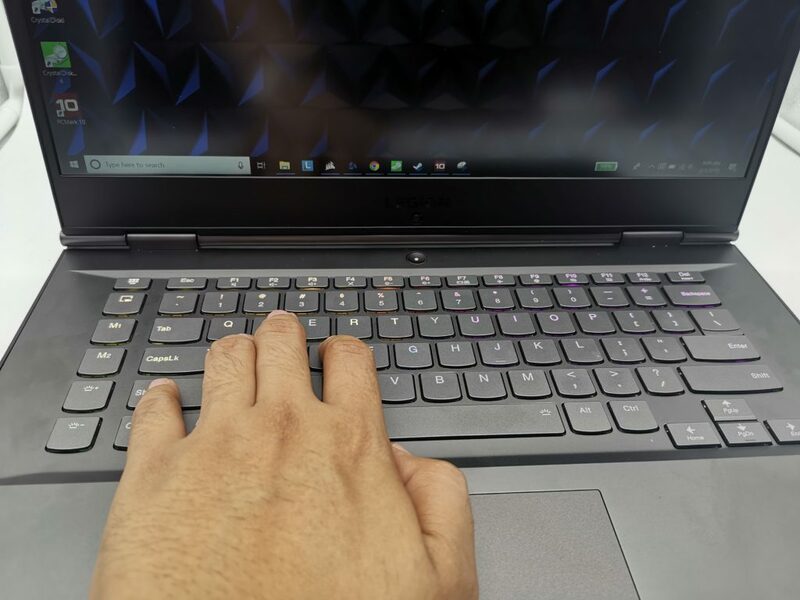 Lenovo did a good job on making their gaming notebooks different to others, by not putting too much flashy design with all the important features of a gaming laptop. 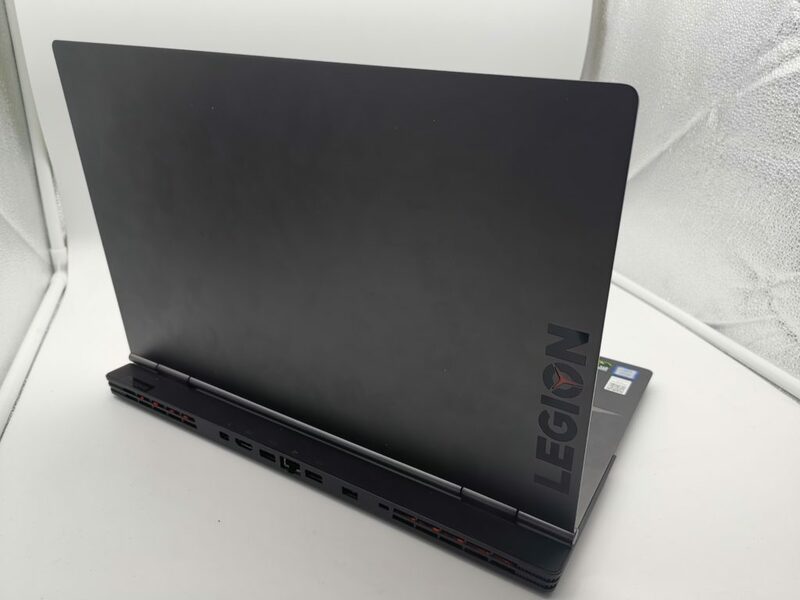 The Legion Y730 is without a doubt, one of the best-looking gaming notebooks we reviewed so far. Just a bit more improvement on the display and specifications and we’re good to go.